The remote viewer- a description of the remote viewing process. He sits at a table, his hands resting palm down on the soft maple veneer. His eyes, his look, stares out into space and across time. Unlike no other warrior before him this man, a remote viewer, trained and honed with years of practice and preparation, launches himself into the unknown void in search or his prey. His mind free of day-to-day noise is relaxed, detached from the task at hand and has only one aim – one purpose – to describe the target – whatever this may be. Unaware of this – the target, a vast distance away, a man in mid flow of activity, confidently gives a speech in front of a throng of gathered people, baking in the heavy mid day sun. Back in the darkened room,the remote viewer picks up his only physical weapon, a pen, and with a motion like a nervous twitch he connects to the distant target and with a flash of movement his hand slides across the gleaming white paper leaving a jagged line. This quick burst of information flows through the remote viewer like electricity, as a micro second ball of imagery, sound, sensations and feeling explode within him and unravel into words, that he quickly scribbles underneath the jagged mark. Far away in both time and space the target goes on with his life not knowing not feeling the eyes and probing into his very existence. The remote viewer shuffles finished pages to the left and pulls clean white pages in, which are quickly absorbed in a myriad of sketches and annotated descriptions. A face can be seen amongst the sketches reaching out, its a male, he seems animated, hes distant, far away. All this is shown in hurried complimenting words. The remote viewer seems like a zombie, focused on one thing as the world turns around him, hes oblivious to the noises in the street beyond, the ticking of a clock and the patter of rain on the windows. |Hes alone on a long journey within himself and within time and space. He hovers above the target looking down and sketching the gathering of people he sees below him. Meanwhile, the target life moves slowly amongst the crowd of people, they are seated and he is walking, they look-up to him, drinking in his words and charisma, his energy as his speech reaches an emotional crescendo and his voice raises to meet the growing energy reflected from the crowd. A million miles away the remote viewer is eating paper with his scribbled sketches. The pages now seem like complex anagrams, columns of words snake down pages in clusters from left to right, words like: passionate, charismatic, cheering, emotional, and event. Inside, the remote viewer is slowly rebuilding a puzzle. piece-by-piece the data comes together and unfurls from the initial lightning ball blast of target contact into a growing picture of the target. hes now sure its a life form, a male – and hes not alone- there are others around him, hes very charismatic, hes engaging them. The remote viewer senses hes close, hes been building contact and the target has started to emerge from a haze of potential into something more solid, but he needs more.He shuffles a full page left and grabs a new page in from the right and with a new focus he moves himself into the mind of the target and starts to describe the most personal thoughts, feelings and character from the inside. The remote viewer is the ultimate spy, the ultimate soldier, he cant be seen, he cant be sensed, and he cant be stooped, his infiltration is remote and conducted from the safety of a warm, darkened room a vast distance away. He burrows deep inside the mind of the target, probing, searching, seeking for the answers he know his tasker wants an answer to. Deep he goes, he emphasizes with the target life and the targets thoughts mingle with his own, the emotions and feeling become shared experiences and the viewer can almost become the target life as he covertly absorbs every sensation. Still the remote viewer plods forwards, shedding words in clusters that seem to dribble form the subconscious on to the page. The secrets, the thoughts and desires of the target are recorded in spidery hand written words as he hones in on the target and full disclosure…. The target is a life form and he can be felt by the remote viewer clearly now, he is interfacing – he is one with something and communicating. Moving deeper inside the mind of the life form with a movement command of ‘move inside the target and describe their state of mind’ the remote viewer twitches as a new stream of data flows through the process and new word scribble across the page; hope, fulfillment, love. A pure feeling of life and purpose all wrapped-up together, a life fulfilling and atoning for sins, all wrapped with an overall sense of forgiveness. The remote viewer, sits up and almost winces at this last stream of data, its strength imposed by such strong words and feelings. What does this mean he thinks, surely this must be an overlay, a concoction from my imagination? Curiously now he plods on. in his minds eye he sees, feels and knows in a single synesthesia type impression that the target life is throwing off a glow, patterns of light radiates outwards and envelopes the people around his, bathing them in his light. Its now clear that the target life is a teacher, is sharing wisdom and is touching the very souls of those around him. There is an overall building sensation of angelicness, of religion and of god with this target. The impressions now so strong that they reach backwards and can be felt by the remote viewer located thousands of miles & thousands of years away. This is a pure energy, of love of spirituality, untouched by greed, pain and anger. A sense of sharing – a connection. Not just a singular connection but a connection across all things, across everything. The remote viewer knows by now, with the ever increasing and strange data that this isn’t an ordinary target, this isn’t an ordinary man. The feelings, so intense have led the remote viewer to instinctively try to name this target and AOL’s abound of angel, and Jesus, and are written across the pages. It becomes too much, the impressions build so intently that the only imagery that is left swamps the remote viewers mind so that he cannot continue. 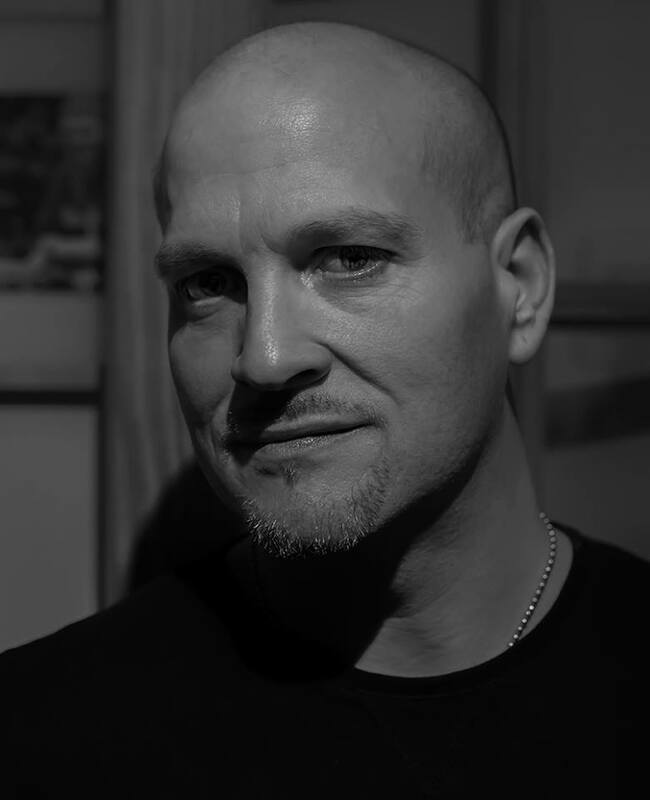 He breaks contact, takes a moments breath and writes a final summary of the remote viewing. he is very spiritual/ energizes all around him. Felt feminine, impressions of angelic and reference all around to jesus and god. he connects through an energy to somewhere out in outer space – this feels like the source. This life is on a spiritual journey, an atonement for past sins and life, and they are fulfilling this. Wow! what a session, the remote viewer is exhausted, never in years of viewer life targets has he felt so much energy, love and kindness from a single person before, its almost overwhelming. The Remote Viewer ends the experience by writing ‘end’ and the time at the end of the RV session and he finally puts down the pen, his cue to finally sever the link. 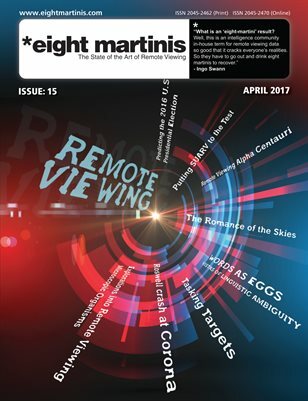 PreviousPrevious post:Being a Remote ViewerNextNext post:Eight Martinis Remote Viewing Magazine Issue 11, May 2014.